Before you roll your eyes at the return of the cropped cardigan, hear us out—celebrities like Bella Hadid are proving the throwback trend can look incredibly cool when styled correctly. Sure, you can bundle up in your oversize sweaters and chunky knits, but when you need something to throw on over your transitional outfits, this ’90s fashion trend will do the just the trick. When a piece of clothing can be styled multiple ways, what's not to love? Wear a shrunken cardigan on its own as a top à la Bella Hadid, or style it over a chic blouse or a dress—we promise you can’t go wrong with this lightweight sweater. Your options are truly endless. Convinced yet? Shop our favorites on the market below, just in time for fall. Wear this over a silk camisole. 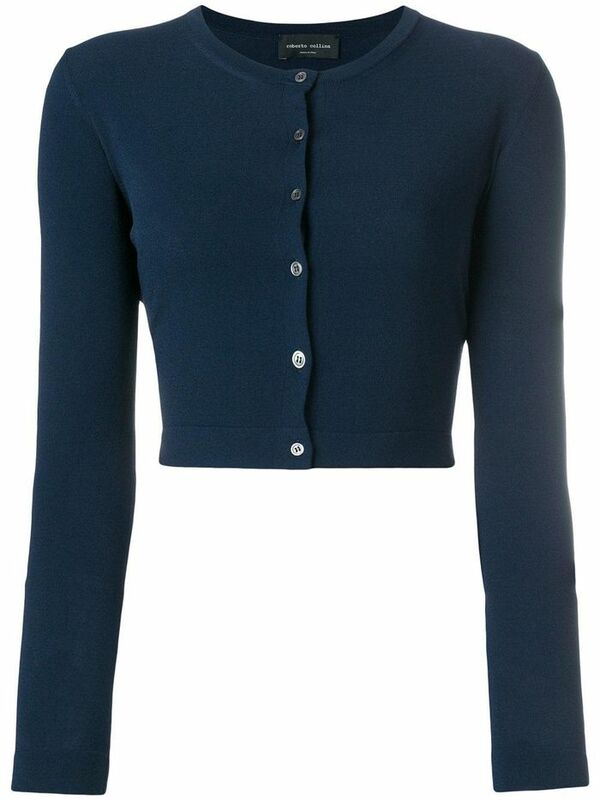 We love this top-button closure. How adorable are these buttons? How cool are these button details? This sweater is so cool. Wear these over a dress or a tank top. We love these ruffle shoulders. Fall in love with this color. The sweater you’ll wear all fall (and winter) long. You’ll turn heads in this cardigan. Throw this on as an extra layer. Say hello to your favorite sweater. Trust us—you won’t regret having these in your wardrobe when layering up for fall.